The caveman ran as fast as he could. He ran and ran and ran, caring for only one thing – his life! That theft was the only thing he could get hold of to help his hunger – and the only option for feeding his family… but that sabre tooth tiger didn’t like his choice. That sabre tooth had a family too. As the caveman hurtled across the land, he could only think of one thing – his life. Himself. His life was important to him and his family. His life was the one thing they needed in their life to survive. Survival mode kicked in and he ran as fast as he possibly could. Running fast because his life did depend on it. … of course you’ll never have to do this. You can shop online. You can have your groceries delivered. The only danger you’ll encounter will be a dodgy shopping bag or maybe an unsuitable replacement for that hummus you like. #MiddleClassProblems. Life’s changed a lot since that caveman ran from the rather large and angry sabre tooth tiger. At least, that’s what it looks like when you don’t dig too deep. We now have Waitrose in place of that spear. We can drive, fly and sail instead of running. Running is now a sport; it’s something we do for fun, not for survival. But some things are very much still the same. It’s what drove that caveman on, kept his family fed, and those sabre tooth tigers annoyed. Beneath all the tech and 21st century development and growth, we’re still right there with that caveman. We’re still fighting our own battle… just not with a tiger. 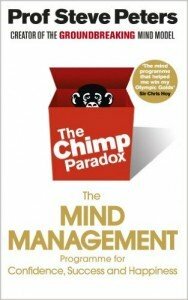 The Chimp Paradox is an interesting theory explained in a fascinating book. It suggests that despite years of evolution, we all still essentially have a chimp brain: A brain faster than our human brain. This brain makes decisions based on things like hunger and procreation. This brain makes the decision to steal from a sabre tooth tiger, and this brain bangs on the car horn when you get cut up in traffic. Ultimately, right at the very core of our human body… we only care about ourselves and our survival! Decisions we make are based on this, and despite what you might want to think, think we’re actually all very self-centred on a basic level. … because everyone cares about themselves. You need to understand this. You might be thinking that I’m making excuses for not caring about others but I’m not. Who did you buy it for? Did you buy it to please the owner of a business or did you buy it for you? When you last went networking who did you go networking for? You, or the networking group? The last time you ate a meal out did you choose the venue to help out a business owner, or did you choose it for a special offer, fabulous food or on impulse because you were hungry (and your chimp kicked in). When you think about it, really think about it, no one buys anything for the benefit of others; they buy it for the benefit of themselves or the people that matter to them. It’s very rare that anything is bought for the benefit of the business or vendor. Even charity donations and purchases are often made to make us feel better about ourselves. The feeling you get from giving back is addictive (others praise you and it makes your chimp feel good!). So your business, your marketing, your social media, your website, your networking pitch, your branding, your business plan… it’s not about you! All of your customers have very primitive views and needs. All of your clients are only operating on a few core desires. Your entire email marketing list is only interested in themselves. Your website visitors don’t care about you; they care what you can do for them. Those Facebook fans couldn’t care less about you and your business. Twitter followers only follow you to make their own lives better. Those likes on Instagram are only there because people tapped to join in with a crowd and blog comments are only made to make the commenter look better than you – to steal your limelight and to take the focus away from you and make themselves feel better. Imagine that. Imagine that we were all marketing to robots instead of chimps. What would happen then? What would the robots do… or not do? 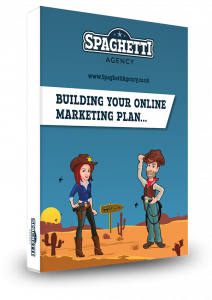 This is marketing, this is websites, social media and networking… and it’s not working! No one cares about you or your business more than you. 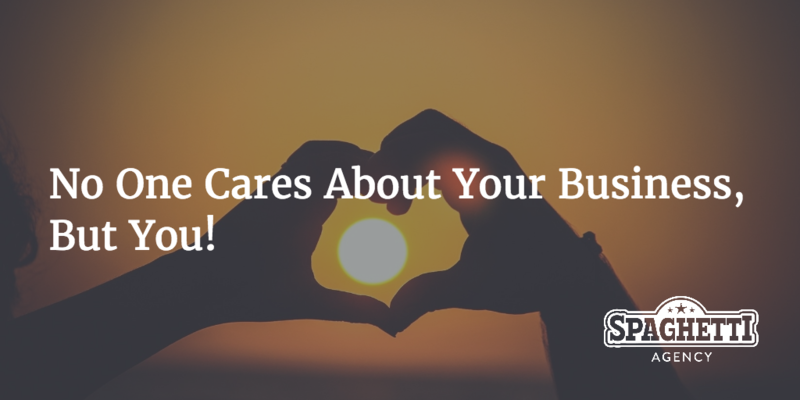 You care more than anyone about the success of your business. So your marketing should be devoted to the chimps. The chimps don’t buy unless you appeal to them and their needs… that’s what they buy with. Next time you write some content, send a tweet, or update your website think about those chimps. What do they want and how can you help them? And they’re not bothered about your review averages. That’s what appeals to your audience… because it appeals to their emotions and needs. People don’t care about your business because you don’t care about theirs. All of a sudden you realise that you need to drastically change the way you market your business. Remember those chimps and that caveman. … There’s one in the mirror wearing advanced fur and holding a technically amazing spear made by a large corporation who create them for their army of chimps who need to communicate. Don’t ever forget where we came from… we’re still making buying decisions based on our history. I was going to leave a comment but wouldn’t want to steal your limelight!! 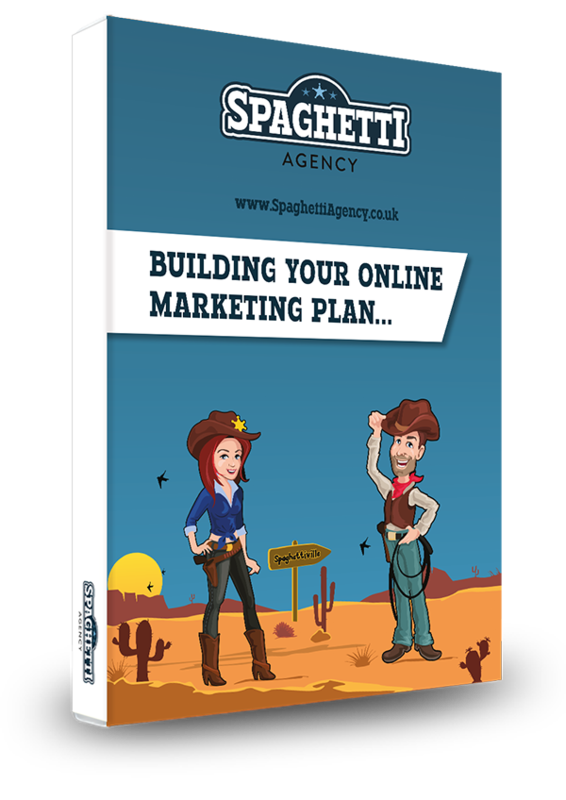 Seriously though, it’s a great post as it gets down to the bare bones of marketing – appealing to our audience’s primal needs – which is something that too many businesses, large and small, need reminding of. It’s true when you think about it, isn’t it? It’s all too east to forget where we came from. Ha! Pleased to make you smile, Tracey. Where do you network at the moment?